They call him Big Papi as a 3 year old? I saw this card the other day when I was putting my cards away. This one fell on the floor and instantly I thought it was so cool. I put in a top loader and placed it near my baby boy’s crib. If this isn’t philthy cool, I don’t know what is LOL. 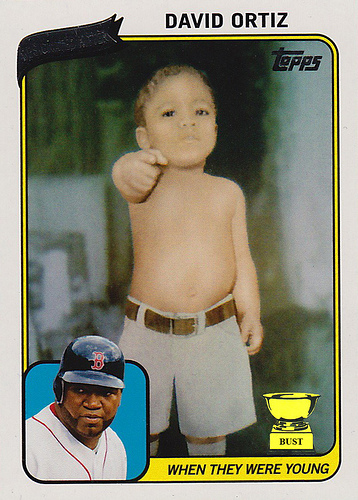 They always called him Big Papi!